When you think of dorm room decorating for the holidays, the only thing that may come to mind is a dorm Christmas tree. After all, you know you don't have much dorm room decorating space available since a dorm room is small. However, you don't have to stop at a dorm Christmas tree when you're adding dorm essentials for your dorm decorating to your dorm room decor! There are small accent pieces and dorm wall art items that you can add to your dorm room decorations for your holiday decorating adventures! 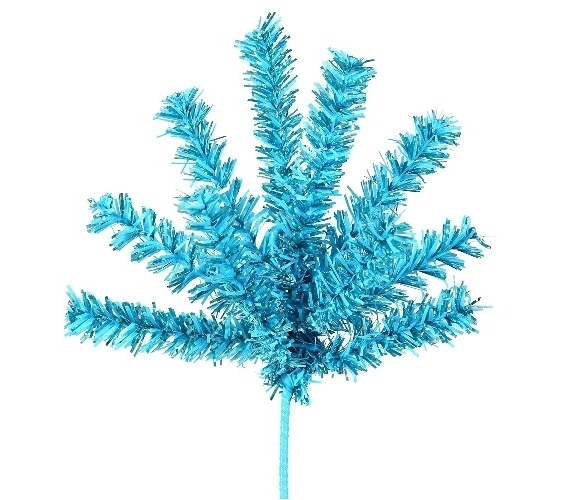 Our 7" Sky Blue Mini Spray features bright blue tips that will add some cool looking color to your college room decor. You can add this cheap dorm supplies item to a few places throughout your college dorm room for extra color and style to your holiday dorm room decorating. Add a couple to your dorm wreath for an accent and little pop of color. You can even add this dorm essentials item to your dorm Christmas tree for a one of a kind look! Use your imagination and let your holiday dorm room decorations stand out from everyone else's on your dorm floor!